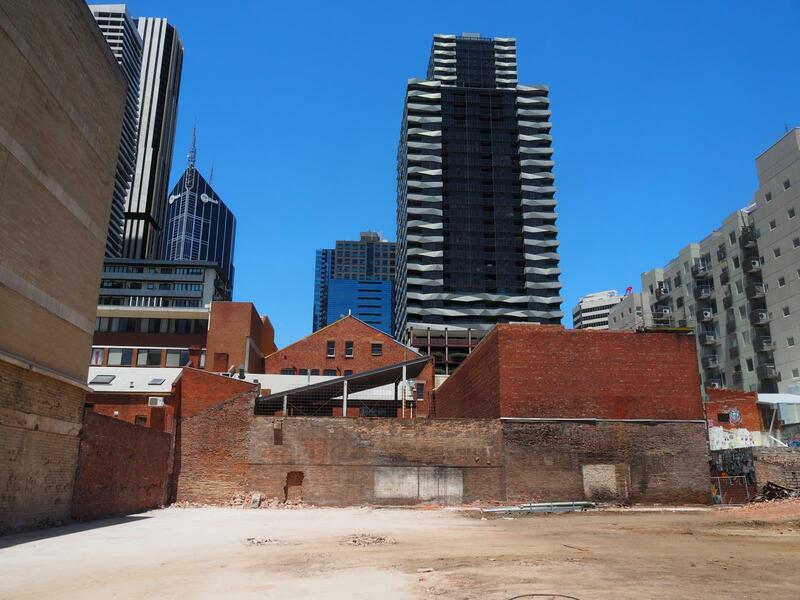 I like that Cretinface Wood's idea of an "exmplar development" is one that demolishes an entire streetscape of listed heritage buildings that it's his job to be protecting just so Council doesn't get left with a stranded asset after only having one bidder for the site. Nothing at all corrupt about this in any way. 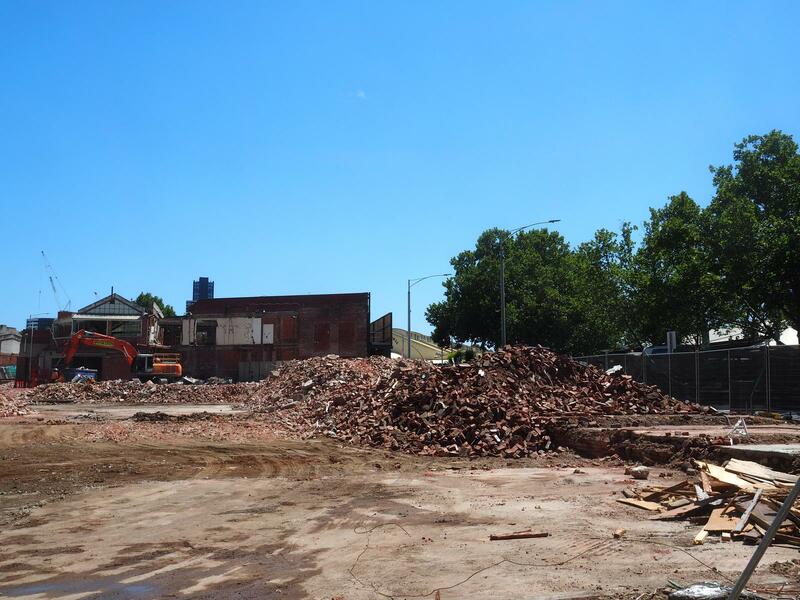 An entire streetscape is not being demolished. Buildings either side of the demolished buildings will be retained, as will all of the buildings on the other side of the street. It also isn't a Councillor's, or the Council's, job to protect buildings per se. In this context their job is to oversee the use of land within the city's borders in the public interest. 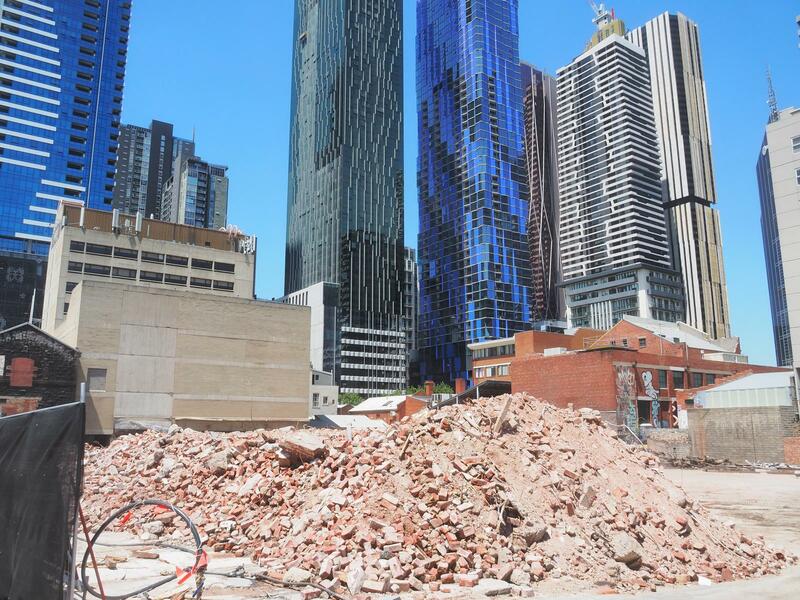 The law contemplates that Council will, consistent with the public interest, approve the demolition of buildings previously recognised as having some (in this case, very limited) heritage value. Also, corruption describes a situation where a public official dishonestly abuses their position to obtain a private benefit. It doesn't describe a situation where a public body makes a decision directly for its own benefit, or indirectly in the public interest. In short, nothing in your comment is accurate or sensible. Is it any wonder that heritage advocates have almost no influence on planning in this town? It seem like Adam Ford wants to live in a museum where nothing changes. I suggest he move to Paris. In the real world, some old stuff needs to make way for new stuff. This is an excellent development and will be massive improvement. I am glad that all stake-holders have worked at a good outcome. Why relocate that far when he can move just a short drive to Sovereign Hill, Ballarat, and he can dress in one of those period costumes to blend in... we will all come and visit! Lol, Beautifully said Primal, maybe one could fill a position as a heritage protector of the surrounding caves, who knows, the caves could once have been the communal dunny, Time to move on to a more sanitized time. Cities are a dynamic thing that need to move on, relics remain just that, reflecting the morality of the times, a dictate from a book much in question.Thank goD we have moved on to a more rational period which will be questionable in the future, Its evolution by design. Even Paris has embraced the modern. The Mercat Cross building is boarded up, and the gantry was going up today, so things are gradually progressing. I couldn't get a pic, but, if you look through the windows of the old shops, you can see that demo is well under way at the rear. The awnings have already been removed along Therry Street. "heritage people want to live in a museum" o what an original and demonstrably non-rhetorical argument. And yes, heritage activists have so little influence in this town that Council has just listed several hundred buildings in the most comprehensive heritage review undertaken since 1984. Muppet. It flipping well IS Council's job to protect the heritage buildings that it has itself listed. Literally and definitionally. Why would it have listed them otherwise? Anyway, thanks for documenting the travesty, Redden - although I wouldn't call it 'progress' myself. 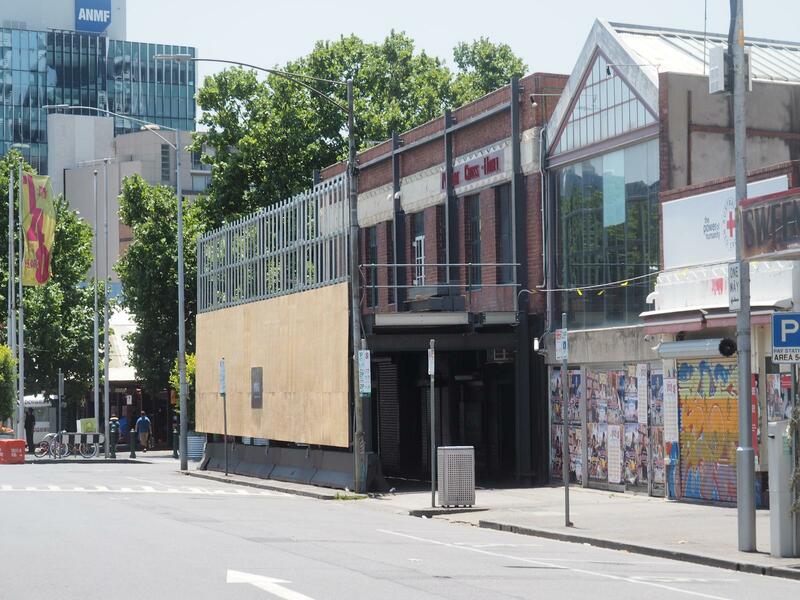 To revisit the argument - these buildings are supposed to be protected, and Council has now created a precedent whereby a developer with a C-graded heritage building on site can stump up to council and say "well you allowed YOURSELVES to demolish these other C graded structures, so I am now de facto entitled to a demolition permit too." It very actively undermines the entire validity of heritage protection across the entirety of metropolitan Melbourne. You are NOT supposed to be allowed to demolish C graded structures FULL STOP. If Council had no active interest in this site, they would never have approved demolition, whether that's grade three debating tactic textbook definition of corruption or not, is not a bulldust semantic argument I'm even interested in entering in to. It's a surprisingly big site, once you get into it. 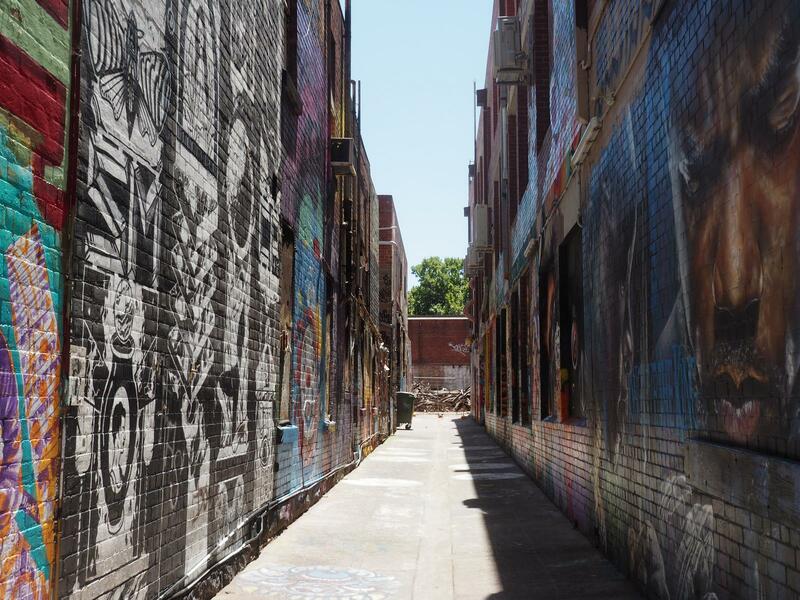 The last pic is the laneway connecting to Franklin Street. Wow I can't believe that whole thing is gone - I gotta admit I totally didn't realise it was going having now moved out of the area for the time being. I share a bit of Adam's anger at least about the old Mercat Hotel facade going but really have to agree that overall this is huge improvement for a very important site - the use of brick on the new podium tempers what has been demolished and adding new laneways to Melbourne must always be applauded. Looking at the render, I think that the Mercat Cross façade is basically being retained, with an upward addition containing a rooftop terrace. Render courtesy of Grollo. The Therry Street shops are down, but the Mercat Cross façade is still intact. Most of the rubble has gone. 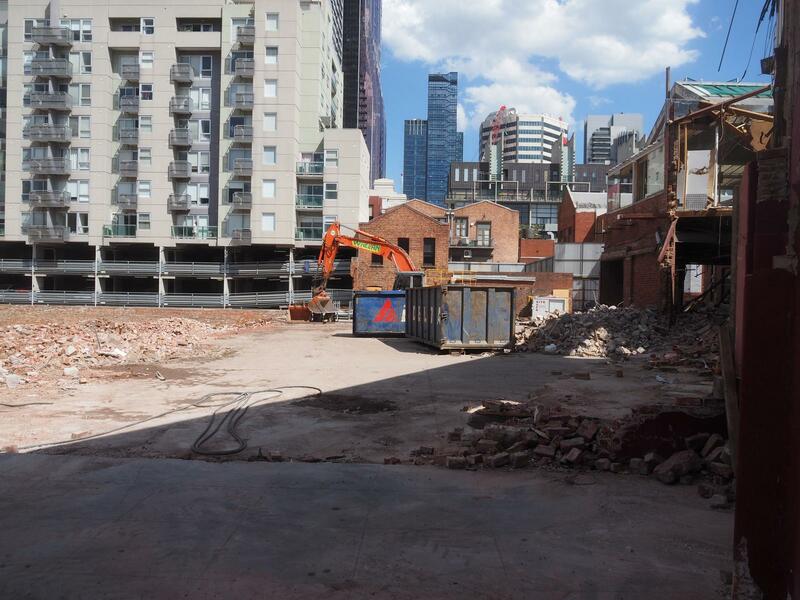 So much of Melbourne's heritage gone in one sweeping demolition. Few will look proudly on this moment in even a decade from now. Wish the City of Melbourne had their hands on the remainder of the properties on Queen Sr, north of Franklin St, to include as part of this development. 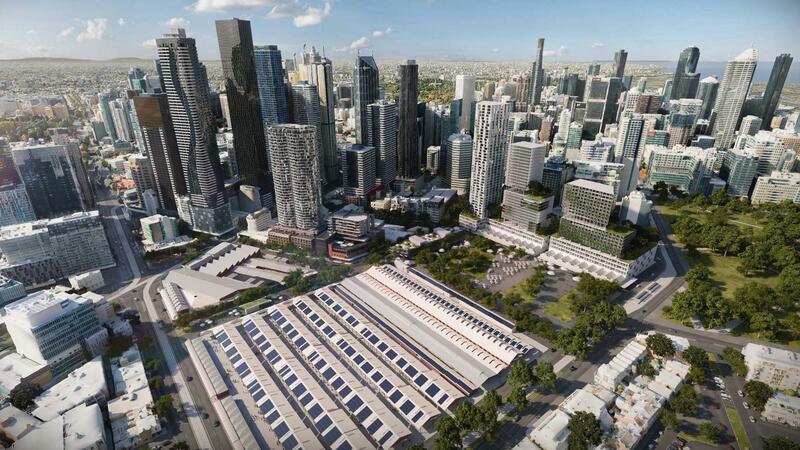 A new public space larger than Federation Square would replace the open-air carpark at Queen Victoria Market under the latest proposed redevelopment of the 141-year-old landmark. 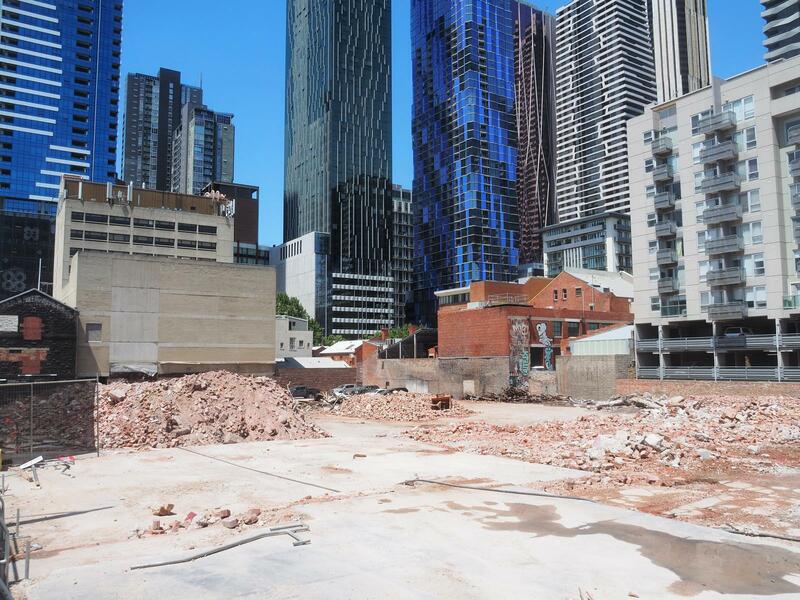 Melbourne City Council has now abandoned plans to dig beneath four of the market’s heritage sheds to create three levels of underground car parking and a service area for traders. 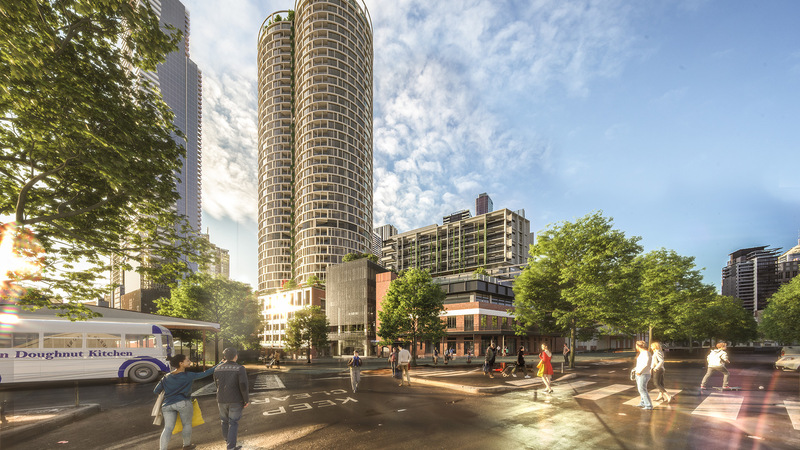 The latest proposal would still deliver 1000 car parks for market customers, which has long been a contentious issue, but they would be contained within a 38-storey apartment tower on the corner of Queen and Therry streets and a future development site on Franklin Street. 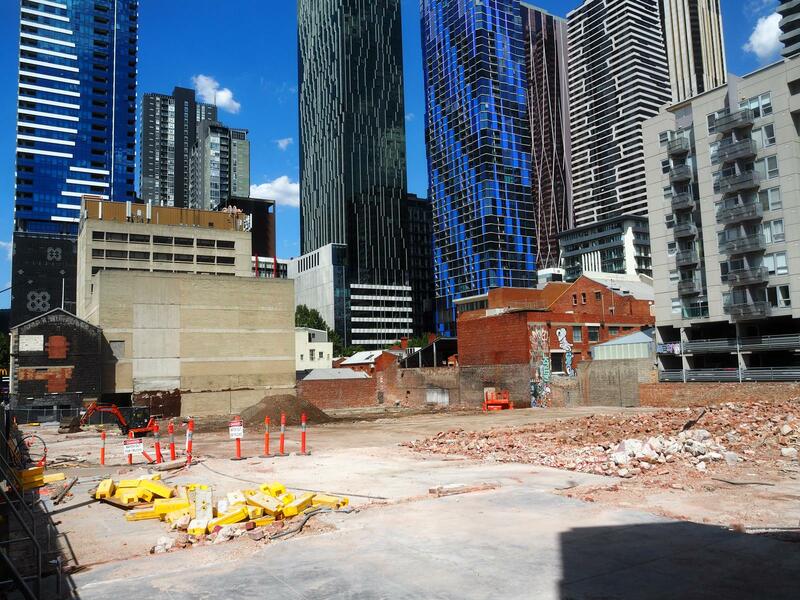 Lord mayor Sally Capp said once the new car parks had been built the existing asphalt car park would be turned into the biggest public square in Melbourne. The 1.5 hectare civic space – to be called Market Square – would be used as a venue for community festivals, farmers' markets and other events and provide a place where people could eat. 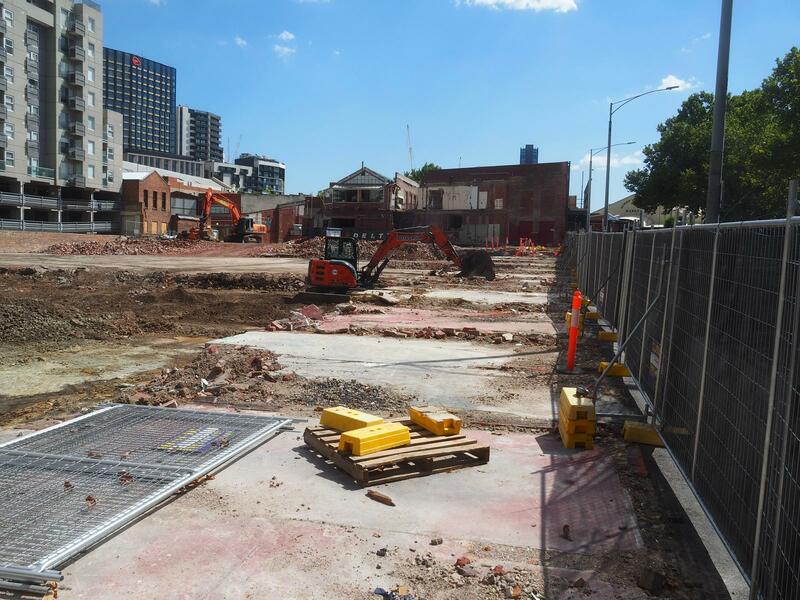 None of the proposed works will disturb the 6500 bodies that lie buried beneath the market in what used to be the Old Melbourne Cemetery, which is believed to be an archeological treasure trove. 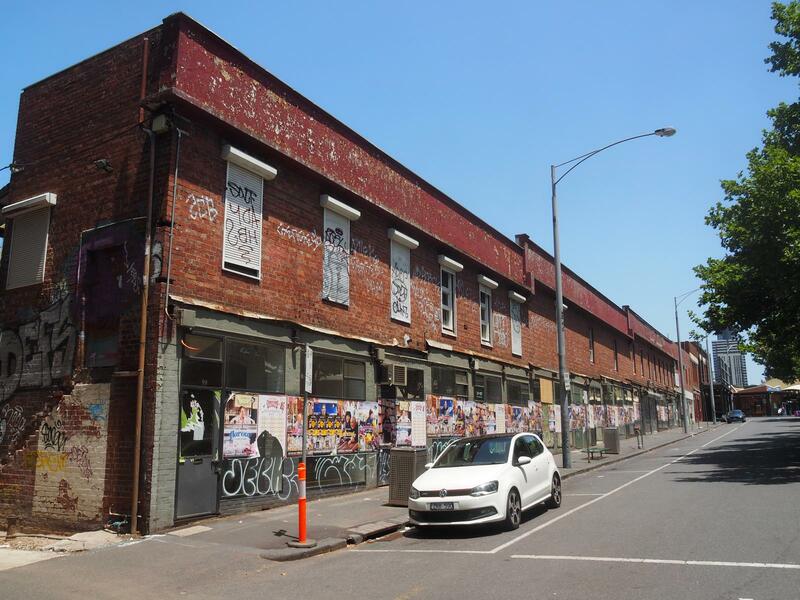 Heritage Victoria last year rejected the underground parking lot, saying it could not be assured the market's heritage sheds could be returned to the site in their original condition. 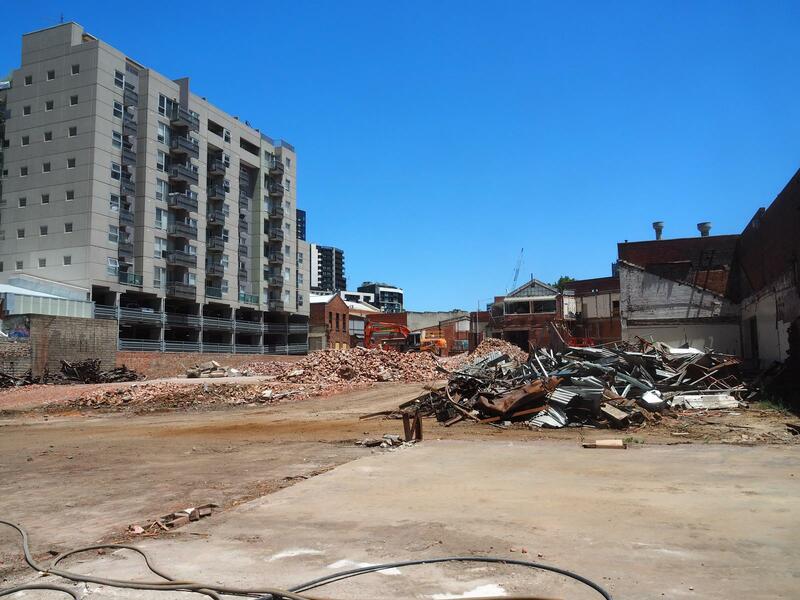 The heritage authority also believed the fabric of the 19th century market – the largest open-air market in the southern hemisphere – would be irreversibly altered if it went ahead. Cr Capp said while this was disappointing, the council wanted to move on and address the challenges facing the market while maintaining its heritage. But a part of the latest proposed revamp - a $6 million plan to have storage and refrigeration at fruit and vegetable stalls – could also raise some concerns. 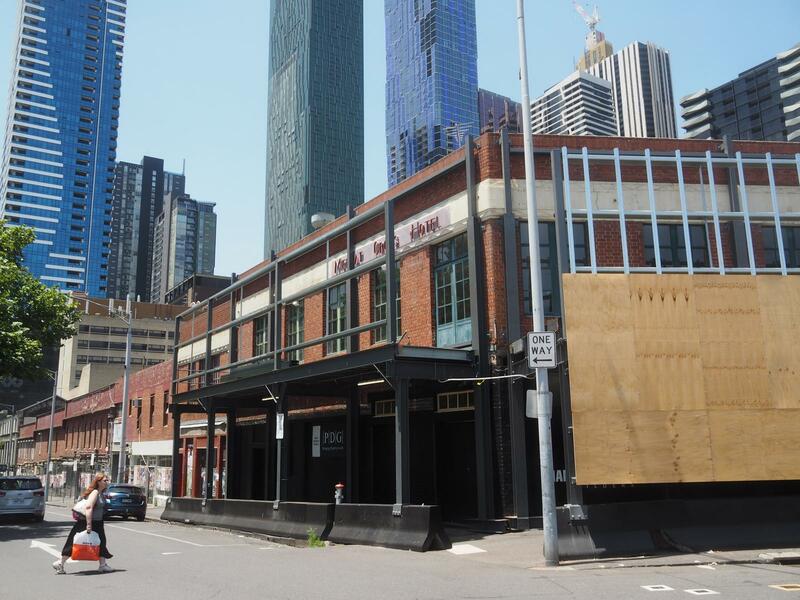 “Fixed stalls are not part of traditional market operations, we would lose the sense of an open-air market,” said Friends of Queen Victoria Market president Mary-Lou Howie. Ms Howie also said replacing the open-air car park would “kill the market”. Ms Howie, whose father was a trader at the market, said she often filled the boot of her car twice during her market shops. She said the new car parks would not be appropriate for market shoppers and traders depended on the convenience of the existing car park. 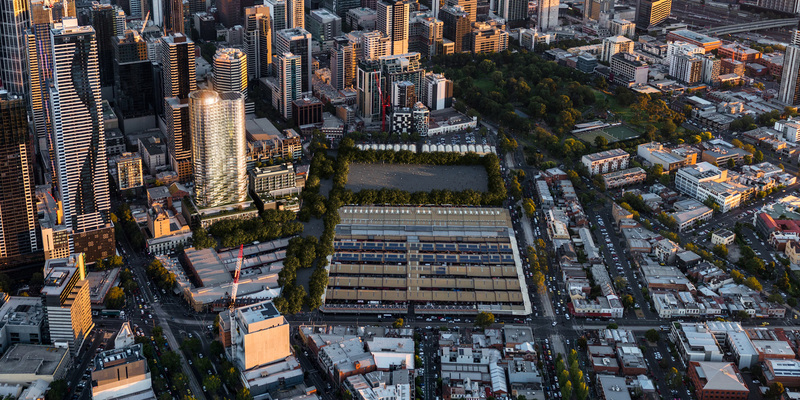 The latest redevelopment proposal, which will seek in-principle support from Melbourne City councillors next Tuesday night, is part of a $280 million renewal of the site. The council wants to redevelop the market to ensure it provides a brighter future for the produce and retail centre, parts of which have high vacancy rates. Apartment development means an extra 22,000 residents will live nearby within five years. The latest proposal will include centralised waste facilities in Queen Street north and loading facilities, trader storage and amenities and waste management for the Meat and Fish Hall at the G shed site. This was a recommendation made by a “people’s panel”, a group of 40 traders, customers and residents, established by the council to help guide it on decisions related to the market. 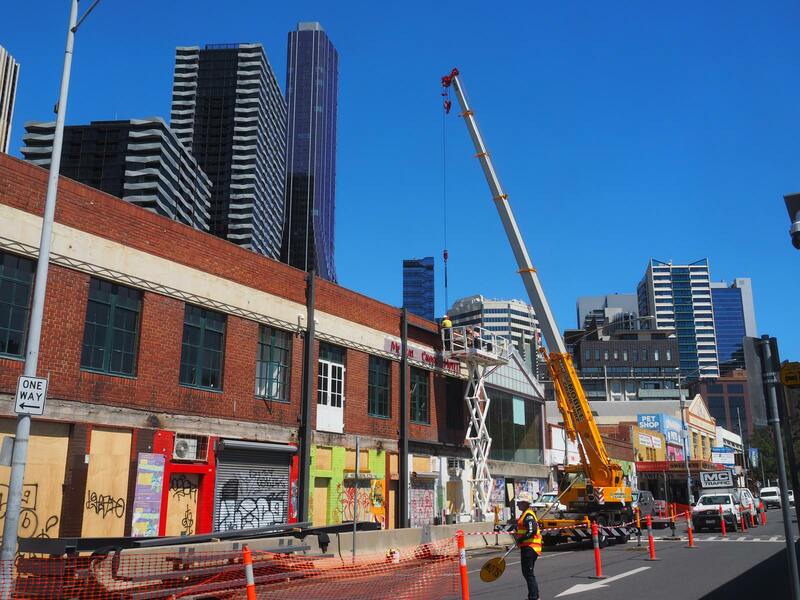 Economist Marcus Spiller, whose company SGS Economic and Planning completed the business case arguing for a major redevelopment of the market, last year said Queen Victoria Market was “suffering an incremental decline”. “If you go through the market on any day but Saturday, you will see stalls with hessian shrouds over them - almost like coffins,” he told The Age. SGS found the latest option to be considered by councillors “costs the least to implement, is the only option likely to pay for itself financially and has the most manageable delivery risks”. It found that for every dollar spent on the option being considered, $7 would be generated in overall economic benefits. 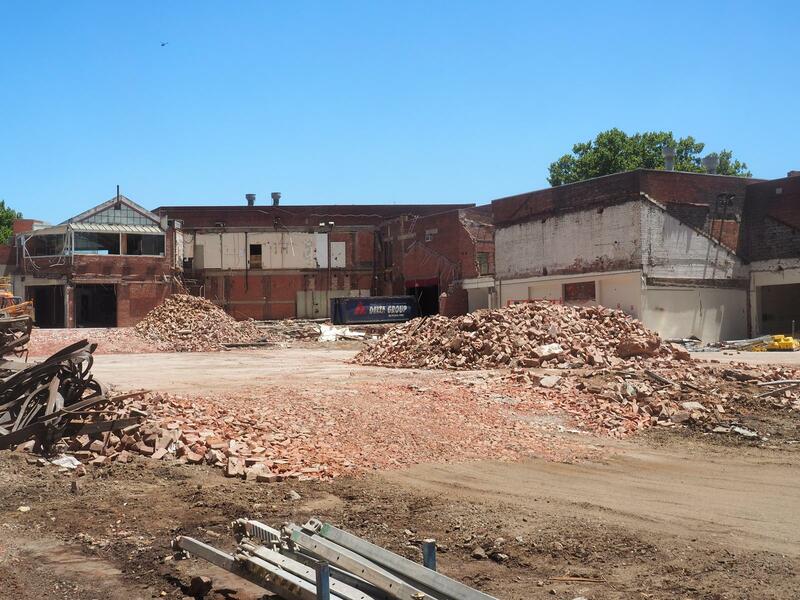 Planning Minister Richard Wynne said he was pleased the council was protecting the market's heritage while providing an upgrade to secure its future viability. "The market is a massive tourist attraction and for locals it's part of our community,” he said. Archi and db2 have posted these updated renders of the Munro site tower. And somethinglikethat has a post related to your post, Aussie Steve. 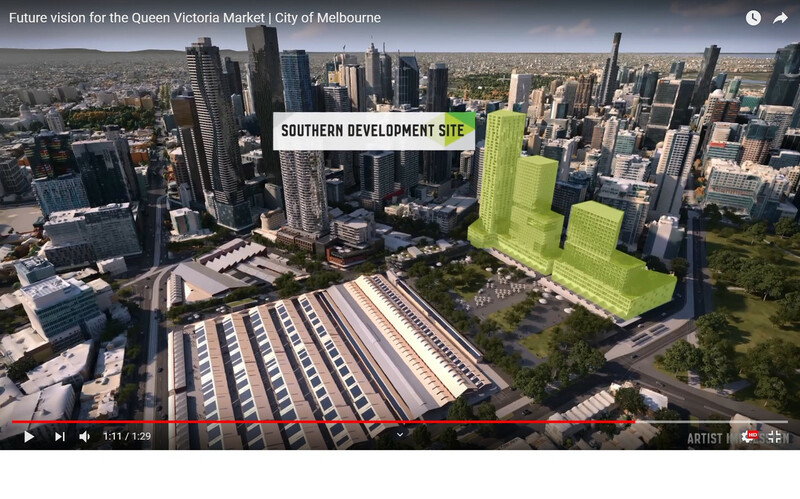 It may have been missed in an earlier post elsewhere today, but City of Melbourne has also released concept renders for development behind the Franklin Street storage buildings.